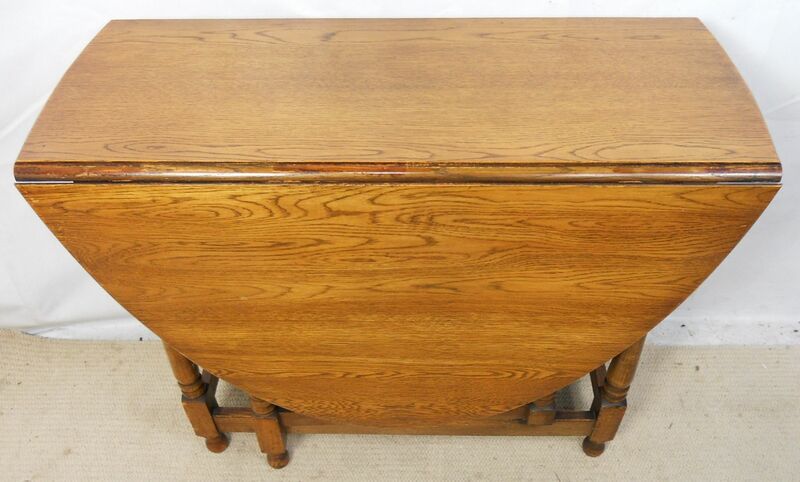 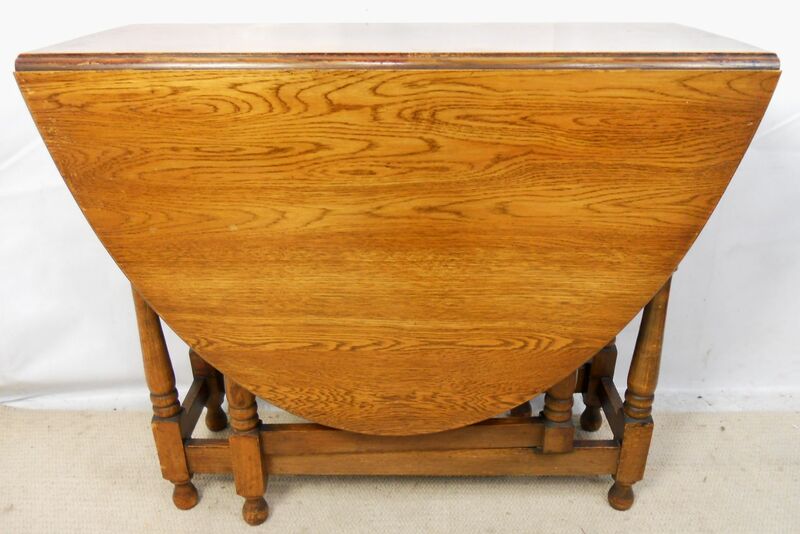 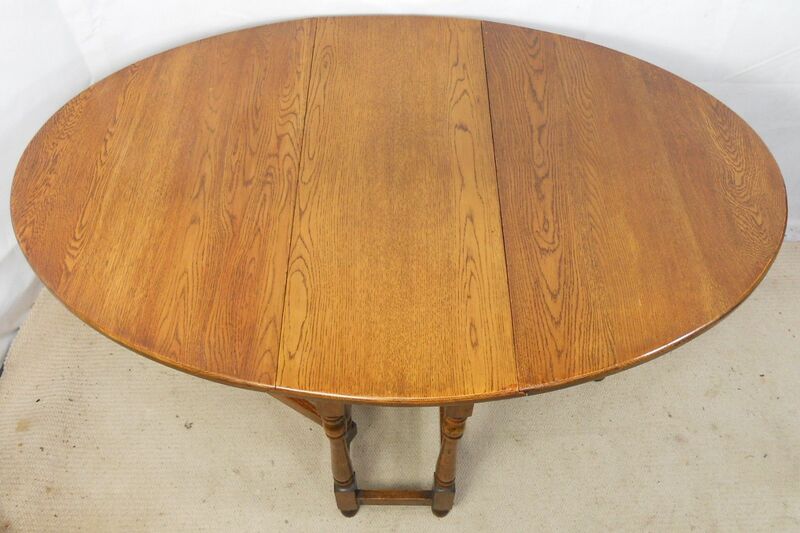 Light oak dropleaf oval gateleg dining table, taking up little space when not in use. 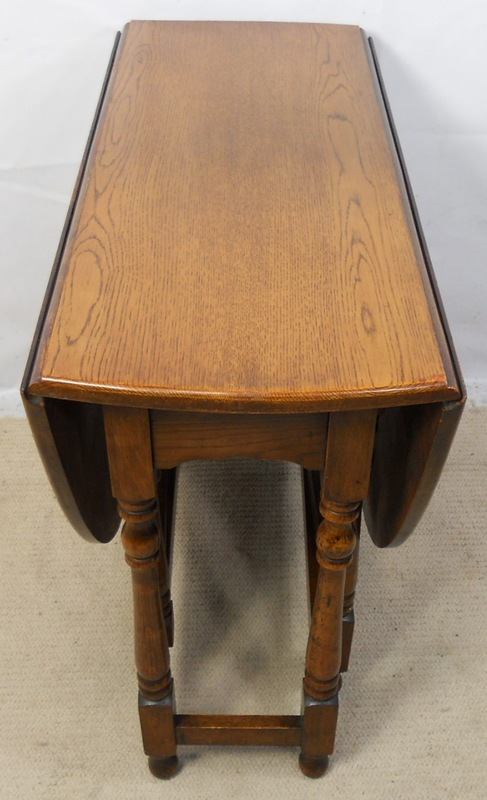 Table leaves easily open up when required with supporting gateleg action. 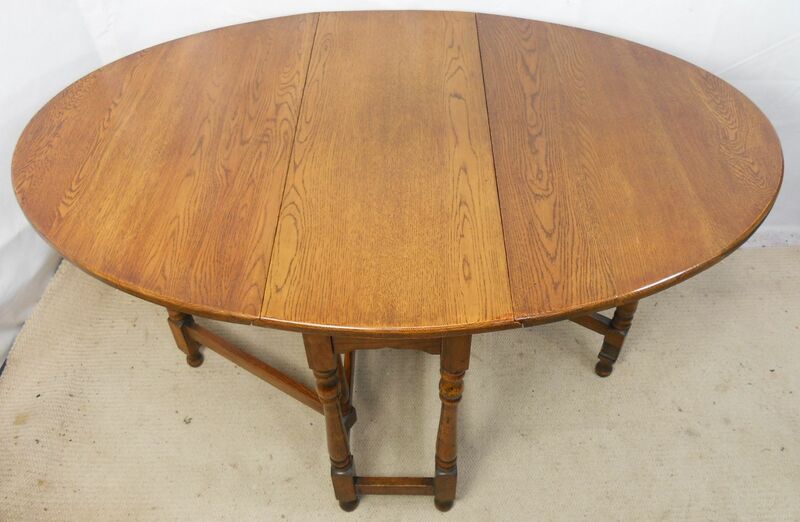 Forming a larger table surface, suitable for five to six people.